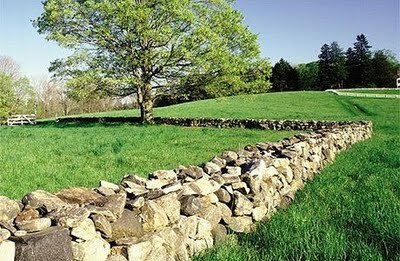 In Robert Frost’s poem, “Mending Wall,” the neighbor repeats the phrase “good fences make good neighbors.” The reason for this is that the fence determines the property line, the boundary between the two neighbors’ land. Times were easier then, and land surveyors weren’t often called in to determine exactly where one person’s land ended and the next began. This isn’t necessarily the situation today. For that reason, sometimes there are property line conflicts. Most of the time, property lines are not given much thought by either neighbor. People just assume the property line is where the fence or treeline is, or even just where they agree each person’s land ends. Sometimes, however, a bank or finance company may request a land survey. What About Property Line Disputes? Disputes over property lines aren’t common, but generally they occur when there’s a change in ownership of a piece of land. The new owner may want to improve on the land, build a building, or add a driveway. When this happens, the owner of the adjacent piece of property may feel like the new owner’s improvements are encroaching on the property line. This can lead to a dispute if an amicable agreement can’t be reached. Another occasion where property line disputes occur is when a homeowner decides he wants to expand on his home by adding rooms, increasing square footage, or installing a pool. Building permits for these improvements often require that there be a land survey on file. The only way to properly decide a land dispute is with a professionally conducted land survey. Licensed land surveyors will investigate historical documents, conduct physical assessments of the property, and mark the property lines in accordance with all local and national laws. Your home and land are a major investment. You should know exactly what you have. If you have any questions, or would like to request a survey of your land, let us know and we’ll be glad to help.